Did we not learn from the first riot? By now, you’ve heard every possible Noah Hanifin to the Canucks trade angle. Why it would work, why it wouldn’t and so on. It’s no secret that Hanifin is on the up and up and with his stats progressing handsomely year over year. He was named an NHL All-Star for the first time this past season and it’s possible that this is just the tip of the iceberg for his production. A lot has been said since that article but the potential for a 2018 version of a Sami Salo to Vancouver trade is enticing. 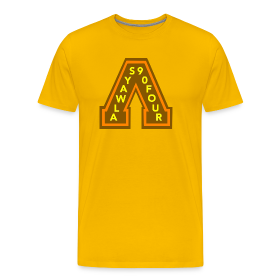 When the Canucks traded Peter Schaefer back in September 2002 for Sami Salo, the Finnish defender hadn’t hit his stride quite yet and he would eventually become one of the Canucks’ anchors on the backend. Of course, he wasn’t healthy a whole lot but when he was on his game, Vancouver had a legitimate threat that could tickle the twine from the parking lot with his rocket of a shot. With Hanifin, Vancouver would be getting a guy who doesn’t need to be acclimated to the league, he knows the pace, the pressure and the mindset needed to succeed. Sure, Carolina isn’t exactly the place to hone your skills but Noah seems to have figured things out for the most part. The Hurricanes are in a position to rebuild, like the Canucks, and moving a skilled up and coming defender could potentially bring back the asset(s) needed to further the process. When Cory Schneider was traded to New Jersey in 2013 for the 9th overall pick, many people quickly shouted: “that’s it? !” Was Schneider really only worth a first round pick? Turns out it worked for both teams as Bo Horvat was the player taken with that pick and it’s possible he becomes the Canucks future (like maybe by October) Captain, while Schneider has become the Devil’s man between the pipes. It hasn’t been as rosy as Horvat’s tenure in Vancouver thus far but both teams got what they needed. The rumored trade so far is Hanifin for the Canucks’ 7th overall pick. It’s been said the Hurricanes are asking more than that but looking back at the Schneider trade, both teams could benefit from this right away without potentially ruining the relationship between both GM’s (says me). The parallels between the Salo trade and the potential Hanifin one aren’t extensive but they do have some similarities and quite frankly, for most of us, that’s good enough. Salo was gaining steam in his rookie campaign with Ottawa and was scoring as a second-pairing defender. Hanifin was also a second-pairing guy this season but was Carolina’s top scoring defenseman. The Canucks were in need of a reliable defenseman back then and were able to part with a mid-range forward in Schaefer who put up 36 points in the season prior to the trade which basically is the equivalent to what Sam Gagner or Brandon Sutter did this past season. Wait, what? STOP THE PRESSES! Get Jimbo on the phone ASAP!! Salo hadn’t eclipsed 20 points in a season when he arrived in Vancouver but when he found his groove he was getting most of his offense on the power play. He went from almost one-third of his points coming on the power play in his first season with the Canucks to just over half the season after that and then to just under two-thirds of his points coming on the man-advantage in his third season with Vancouver. Hanifin’s contributions on the power play aren’t quite at that caliber yet but were somewhat similar to Salo’s production when he was still in Ottawa. Of course, the power play in Vancouver saw gigantic improvements the moment Brock Boeser was stapled in “the spot”. Adding another weapon to that unit would easily increase the Canucks offense in that area. Noah’s skating is his biggest asset right now and it has been said he’s still improving all the other areas of his game. Parting with a high pick most years isn’t always a great idea but if there is a chance to acquire not only an NHL-ready defenseman but a player that doesn’t need training wheels like some of the players that have arrived recently to the Canucks, I say you do it. The Canucks most-likely will draft a defenseman with their first pick so why not take a similar player who is already producing and skip the first part of the development stage. I’ve argued why this idea makes more sense than drafting a player they may not see for years, or ever potentially. I’m all for developing talent but for conversation’s sake if you could take a producing Noah Hanifin right now or the possibility of, say, Olli Juolevi working out, what would you choose? Potential is great and all but IMO a guy like Juolevi is still a lottery ticket until proven otherwise where Hanifin has already proven he can contribute as very good everyday NHL defenseman. *Disclaimer: I do not think they are the same player but players with a similar career trajectory thus far. Also, Hanifin is not Finnish. It’s been almost two months since we first saw Travis Green on the ice as a coach for the Vancouver Canucks. Over the past month, his style of coaching has seemed to put the Canucks in a position to succeed. Maybe it’s the systems that are being followed, line combinations that are working better than what former coach Willie Desjardins put together or is it possible it’s something else entirely? What if Brock Boeser wasn’t the reason, Jake Virtanen or even early season MVP Derek Dorsett? What if this ran deeper? What if it was Travis Green’s luxurious locks, the flow as it’s been called. No, not Brock Boeser’s flow. Green has had some pretty amazing hairstyles from his playing days in the NHL up to today as a head coach. There is no proof his luscious, long lengths are the actual reason for the team’s early success but it’s pretty tough to prove otherwise. 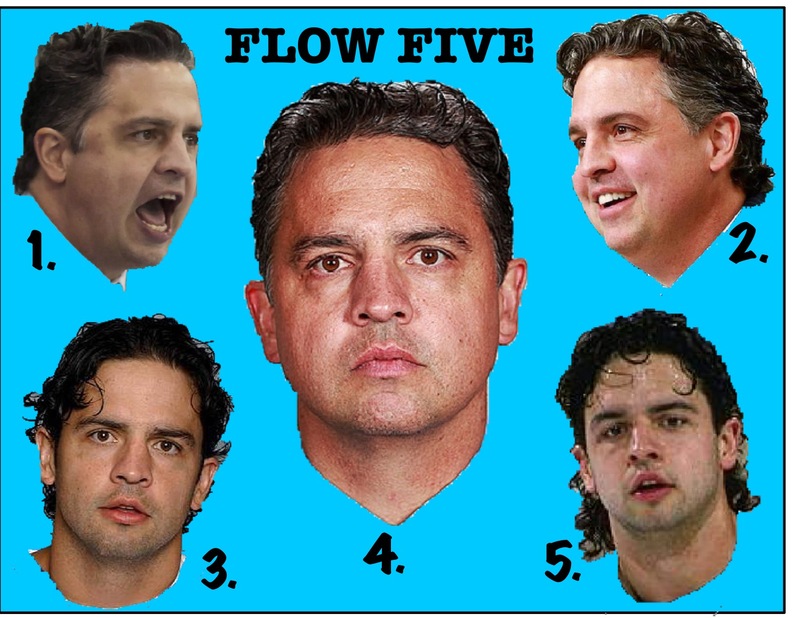 I bring you… the Flow Five. The Cullet is half coach, half mullet. Simple name at its roots (no pun intended). The Cullet is arguably the most important of all five flows. This is the driving force behind the Canucks recent success. It’s put Jake Virtanen on the Sedin line, it’s had the confidence to give Derek Dorsett big minutes as a shutdown winger against a handful of the NHL’s elite and it has no time challenging offsides on disallowed goals. No one would dare grow the Cullet on the Canucks because A) it looks awful, B) you never want to look like your coach and C) he’s willing to put the Sedins on a bus to Utica for any audible comments about his hairstyle. For the foreseeable future, this style will rule Vancouver. Maybe Jason Botchford can slip in a question about it one day. The Corolla is the everyman’s flow. The Corolla is one of Toyota’s award-winning vehicles that holds its value and any father would love to pick their kids up with. It’s sporty, it’s functional and as the picture states, the labeled flow is no different. It can be styled with a simple dollop of Dippity-Do or air-dried after taking a shower to wash off a successful practice. The Corolla has depth and like any cool dad, this style won’t embarrass his kids. As you can see, Green has a full body head of hair and he has it kept in check. The man knows what he’s doing and it shows. This look breathes confidence and his players can tell. Bo Horvat gets taken off the power play? Crazy right? Nope. Green struts that Corolla flow and they know he has a plan. How could they not? Bench Virtanen for multiple 3rd periods, c’mon give the kid a chance. Green knew. The Corolla is what the Vancouver sports landscape has waited for and it comes standard or automatic. No joking around here. It’s no secret Travis Green was pretty good at the poker tables. He made more money at the table than I’ve made in the last six years in a normal job. The Poker Face is just that, you don’t know what’s coming. There are some similar parallels from the Poker Face to the Corolla but they indeed are different. Going back to some of his bold decisions in distributing ice time to unlikely players keeps his team guessing a bit. Is he going to bench me? Am I getting the start tonight? Why is Sam Gagner still on the power play? 4 – The Are You Kidding Me Botch/JPat? Following the The Patcast (yes THE THE) and the Provies is a must as a Canucks fan. There are laughs, valuable tidbits of information, and hooks that will keep you in stitches or craving more of what’s going on inside the Canucks dressing room. If you’ve been following along this season, Jason Botchford and Jeff Paterson have been a dynamic duo in the pre and post-game scrums and have taken a likening to the Canucks new coach. Tough to say if Travis Green feels the same way. He giggles a lot when they prep their questions and he already knows at least one or two questions will be regarding young stars Brock Boeser and Jake Virtanen. Not really anything out of the ordinary but he knows they’re coming. The AYKMBJP flow is deceiving because it looks like it’s all business but it does have a little release like an ill-fitting Brian Burke tie. If you see Greener rocking that flow, odds are the morning skate had some questions that Green just wanted to shrug off because well, they’ll get answered in the game. You can just see him saying in his head “Are you kidding me guys?” This is the flow of a man who takes his job seriously. Finally, it all goes back to the beginning. The Bar Down Bro is an original flow from Green when life was a little looser. This look was all about scoring goals and rolling down the (where do people drive in Spokane or Long Island?) If this look resurfaced on the Canucks bench then the season would most likely be a write-off. The BDB is careless and fancy-free, it can’t be contained. Green wouldn’t be taken seriously anymore, it’s likely the Canucks would have Brandon Sutter headlining a power play or something crazy like that. This look must never surface in his tenure in Vancouver. He’s better than that now so there shouldn’t be anything to worry about. IF and it’s a big if, the BDB resurfaces, Green will have a stable of Boeser, Nikolay Goldobin, and a weathered Virtanen rocking it with him and then watch out, the NHL will be on alert. So there you have it, the Flow Five described. What flow look will we see to end this season, wait and see?